Kristina Dixon Brownshire, 22, has had a love for history ever since she could remember. When she was a little girl her mother would trail her from museum house to museum house. Rather than being bored by old artifacts and facts, her interest grew and she has set herself up to become immersed in history. 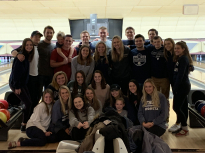 Dixon is a Penn State senior majoring in Integrative Arts, and minoring in History. “My major has really opened me up to a variety of time periods that I didn't think I would be interested in,” says Brownshire. This spring Brownshire has been interning at the Centre Furnace Manor, where she has willingly plunged into the Victorian era. “Working at the Centre County Historical Society has really solidified my knowledge about Victorian history and especially Victorian decorative objects,” says Brownshire. Her job is to categorize all of the historic artifacts in the manor, photograph them, and update the reference booklets found in each room. The booklets list the history of each artifact in the Manor. They are used by the docents in case they forget information during one of their tours. Redesigning the docent guides has been a major task. There are more than 10 rooms in the manor with notable artifacts, including furniture, lighting devices, paintings and mirrors. “I’m researching every single object, and the general history behind the object. So how it would have been used, where it would have been made, who would have used it, and what time period it comes from,” says Brownshire. She is also researching how the society acquired each object, as well as its significance to the county. Brownshire says that when she tells people she is fascinated she is by history, they are often shocked because they find it tedious. However she says that learning about history (American history especially), is not only fascinating, but pertinent for people’s development as well. She says that everyone should take note of these historic facts because without knowing ones past, there can be no improvement for their future. “I think it's important to focus on historical decorative objects and also historical architecture because I think that it can really tell you a lot about the people of that time, especially the objects that you would find in peoples home. It tells you a lot about the culture, the society, social class and the economic status of people,” says Brownshire. Brownshire sees graduate school in her future, and her experience at the manor has made her want to go into a historic museum house work or academia so that she can continue researching historical artifacts and the importance of them in whatever community they are found. 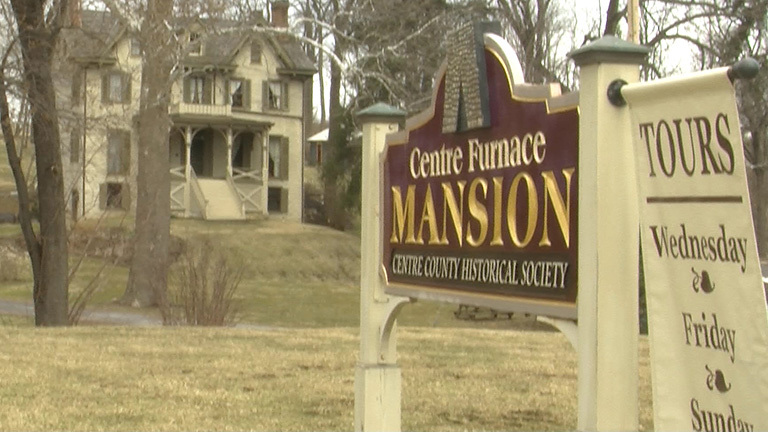 Thousands of people tour The Centre Furnace Mansion for free each year.